As a not for profit charity, we heavily rely on your charitable donations to help us continue our campaign and provide our resources free of charge. We can provide up to 50 health factsheets but any additional requests will require payment to cover the cost of printing, postage and packaging. You can place an order by emailing sugar@qmul.ac.uk. 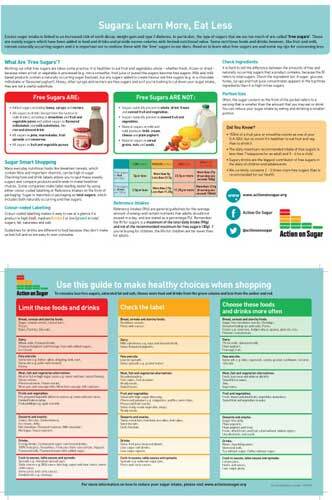 Order up to 50 factsheets for free or click the image to download. 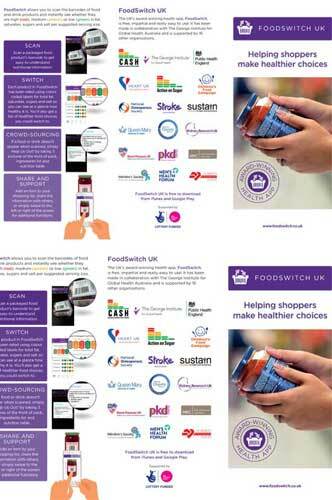 Click the image to download our leaflet all about the FoodSwitch app. Find out more about FoodSwitch, here.